Paeng Nepomuceno will train bowlers with the latest knowledge and cutting edge technology. People of all ages can take can take advantage of Paeng's coaching. From the youth to the senior bowlers he is able to develop all players' strengths and troubleshoot items of concern. Improvements in those areas not only lead to higher scores, but can add enjoyment that comes from better bowling. 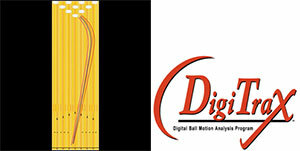 Paeng can further analyze your game with the Digitrax Digital Ball Motion Analysis Software Program. Ball and bowler performance are no longer hit or miss options. Wit Digitrax everything from launch and breakpoint angle to tracing the ball’s path is recorded and charted for analysis. © 2010-2018 Paeng Nepomuceno. All Rights Reserved.